According to the National Kidney Foundation, more than 26 million Americans either have kidney disease or are at risk of developing one. Untreated kidney disease leads to chronic renal failure (CRF), also known as chronic kidney failure. The underlying cause of kidney disease may vary. Hypertension and diabetes are common contributors, but genetics, chronic infection, lupus and kidney stones are other causes of kidney disease. Kidneys are not a mere organ of excretion or selective filtration and should always be evaluated in relation to the individual as a whole. Kidneys have a generalised function–the fluids coming to it and going from it, influence every organ, tissue and cell of our body. 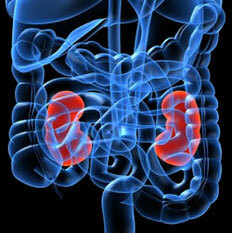 Kidney function influences the complete vital economy of our body. Modern, conventional medicine does not have a cure for kidney failure. Drugs, kidney transplants and kidney dialysis procedures are not definitive cures. Drugs simply delay complete failure while dialysis and transplantation only act as substitutes for the normal healthy function of the kidneys. Kidney disease is a silent killer... Since early stages of chronic kidney disease (CKD) often do not present themselves with any symptoms, so a patient is often shocked to find out that he/she has CKD. Their blood test reveals a decline in their kidney function (low GFR) and higher level than normal of waster products (mainly creatinine, and urea nitrogen), which the kidneys are not able to remove from blood. Often, their doctor watches their GFR to decline with time, and their creatinine and BUN levels going up in each routinely performed blood tests. But, since they don't have anything much to offer to those patients in the early stages of CKD, they wait until the kidneys function deteriorates to the level that indicates the end stage of the disease, and only then they can offer to them either the dialysis or kidney transplant procedures. At this time many patients look for alternatives to those scary medical interventions. The good news is that there are other options that are available to patients, that are out of the scope of the mainstream medicine - options, which are safe, natural and able to stimulate the body's immune system to heal the kidneys. My only wish is that those patients knew about those options earlier, as it is of course easier to help the body to heal at the early stage of disease than it is at its end stage. Often the patient needs to be educated on the proper nutrition, on how stress and emotional health affects the health, how to handle the stressors, and they need to commit to necessary lifestyle changes appropriate to their own case. It is good to know your blood test results. So, next time you visit a doctor please ask for a copy of your blood results and learn what those results mean. See how the results change with each visit. It is your life, your blood so knowing what's going on in your body should be of interest to you, too, not only to the doctor. Here you find the basic explanation of some kidney blood test results that are important to your kidneys' health. It is advisable to work with a holistic health practitioner, like Ela Corcoran, who can support you in your journey to better health, who spends time explaining and answering questions related to the supplements and lifestyle changes that he/she might recommend to you, additionally to the treatment and care you receive from your primary physician or nephrologist. Ela will be happy to talk to your about your individual case and she will answer questions you might have prior to working with her. The first 15 min consultation is free. If you have kidney disease your doctor will decide which tests you will have and how often they will be done. Speak to your doctor about your results. If your numbers are not in the normal range, ask what he can recommend to improve them. Additionally, you can also consider some natural supplements (like Wei Labs) and some lifestyle changes that would promote the health of your kidneys. Contact us to get more info on these options. Here are some of the tests and measurements that people who develop chronic kidney disease may want to know about. Serum Creatinine: Creatinine is a waste product in your blood that comes from muscle activity. It is normally removed from your blood by your kidneys, but when kidney function slows down, the creatinine level rises. Glomerular Filtration Rate (GFR): Your GFR tells how much kidney function you have. If your GFR falls below 30 you will need to see a kidney disease specialist (called a nephrologist), Your kidney doctor will speak to you about treatments for kidney failure like dialysis or kidney transplant. A GFR below 15 indicates that you need to start one of these treatments. Blood Urea Nitrogen (BUN): Urea nitrogen is a normal waste product in your blood that comes from the breakdown of protein from the foods you eat and from your body metabolism. It is normally removed from your blood by your kidneys, but when kidney function slows down, the BUN level rises. BUN can also rise if you eat more protein, and it can fall if you eat less protein. Different stage of CKD will reflect in different results of the above blood tests. 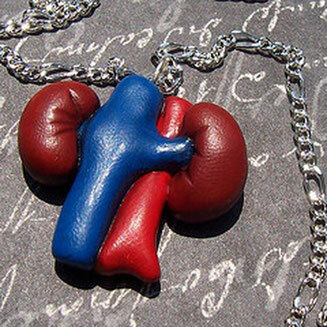 Stage 1-2 CKD have mild kidney damage with GFR above 60 and elevated creatinine and BUN levels. Patient may experience low energy, some swelling, bubbling of urine, low appetite and sleep issues. Stage 3 CKD have moderate kidney damage with GFR between 30-60 and blood creatinine and BUN levels further elevated. Patients may also develop high blood pressure not responding well to medications, anemia, and/or early bone disease. Stage 4-5 CKD have advanced kidney damage and severe decrease in GFR at 15-30 and severe increase of BUN and creatinine levels.